If that sounds like an odd question to you, then you need to know that someone once wrote a PhD on the influence of T S Eliot on Shakespeare. The thesis was of course on how our reading of Eliot creates a lens through which we then read Shakespeare (I am assuming, dear reader, that you are aware that Eliot lived some 400 years later than WS…! ), so that Shakespeare as we read it is shaped by the assumptions that might have been formed by the influence of Eliot on our own outlook. But some have argued that the Johannine tradition might in fact have pre-dated the writing of the Synoptics, mostly because of one particular verse. It is immediately apparent why this looks rather Johannine. First, the Father and Son are talked of in absolute terms, rather than the more usual Synoptic was of Jesus talking about ‘my’ Father or ‘our’ Father; secondly, the mutual knowledge of the Father and Son uniquely of each other, which sounds similar to ‘the Son only does what he see the Father doing’ in John 5.19; and the sovereignty of both in revelation, which sounds similar to John 6.44. To illustrate this, I often have read the verse without the reference to a class, and asked them to identify which chapter of John this comes from—and they work hard to fit it in John. At the Society of Biblical Literature meeting last week in San Antonio, Texas, Mark Goodacre gave a truly engaging paper exploring this verse and questioning this kind of conclusion. He traced the origins of the phrase itself back to Karl von Hase in his 1876 Geschichte Jesu (you can read the English translation of the earlier edition of this online) where he actually described this as a ‘meteor’ (Ger: Aerolith) from the Johannine sky. 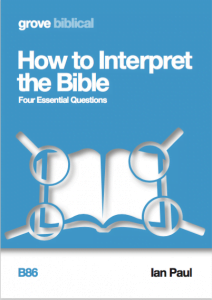 Goodacre also noted the remarkable verbatim agreement between Matthew and Luke in this and the preceding verse: 54 out of 69 words in Matthew (78% of the pericope) match Luke exactly, and conversely 54 out of 74 words in Luke (74%) match Matthew exactly. This is evidence, Goodacre argued, of one being dependent on the other, rather than each being depending on a third source (the unknown document called ‘Q’)—or in Goodacre’s memorable witticism, the match is ‘too good to be Q’. It is worth noting that these sayings are unique to Matthew and belong to his distinctive style. In addition, Matt 12.50 includes ‘the will of my father in heaven’ where Mark 3.35 has ‘God’. All this is beginning to make the so-called Johannine bolt look rather like a Matthean one after all! The ‘absolute’ use of Father and Son has in fact been set up in the previous verses by the address of God as Father and the description of ‘my Father’ at the start of this verse. On the basis of this, Goodacre argued that, rather than being evidence of a Johannine tradition within the Synoptics, this verse (and others carrying similar ideas) are developed within John, particularly the ‘father/son’ language, the idea of the Father ‘giving all things’ in John 13.3 and elsewhere, and the idea of mutual knowledge found in John 10.14–15. Goodacre noted that, where there is dependence between the Synoptics, there tends to be a close parallel of language, but where there are connections with John, paraphrase and influence is more common. In other words, this verse is not a Johannine bolt in the Synoptic blue, but a Synoptic platform for the Johannine rocket to launch from. One important implication struck me out of Mark Goodacre’s paper: once we get past an obsession with textual similarities, it allows us to think more theologically, and allowing Matt 11.27 to be genuinely Matthean, and typical of his theology, allows us to see that Matthew’s theology is actually nearer John’s than we might otherwise suppose. The question of similarity and difference depends to a great extent on where one sits in relation to study of the gospels. When teaching John’s gospel to undergraduates in a ministry context, I felt I had to emphasise the striking differences between John and the Synoptics, since the students were in the habit (as most churchgoers are) of reading harmoniously, that is, filling in whatever is missing in one gospel from things they have read in the others. So most ordinary readers don’t notice that John does not mention Jesus’ baptism, but supply the information in order to make sense of John 1.32, which makes no sense without it. And, similarly, they supply the last supper as the context for the washing of the disciples’ feet in John 13 as the necessary context for John 13.26. For me, the most surprising feature of this list is how often the four Gospels share similarities: about 149 out of a grand total of 226 items, which makes 66%. 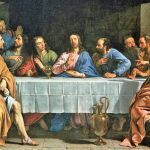 The four Gospels cohere together in a unified storyline and present the same characters in the life of Jesus, though, of course, an author like John omits some and highlights others. But Peter’s life, for example, remains the same, in broad outline. Arlandson is coming from a ‘conservative’ theological tradition, but that tradition is actually rather good at looking at the actual data, and that is what matters here. He does go on (briefly) to address related issues, and notes both the importance of story in the formation of memory, as well as the importance of eye-witnesses, and the striking difference between the gospels and the non-canonical material which was judged heretical by the church—not least on the grounds of its lack of coherence. When I read John’s Gospel now I think of John reflecting on what he thinks are seminal sayings in the Synoptic tradition. He takes a little and develops it a lot. I think you are right about Matthew 11:27 being a platform from which the Johannine rocket is launched. The intensity and proliferation of the Father Son theme in John raises the question whether Matthew’s verse was an “aha” catalysing moment for John’s theological imagination. Once John understood the identity of the Father and Son he likely felt impelled to reflect on what this meant for other aspects of the Synoptic tradition. Nothing thinking along these lines precludes the thought that John also draws into his Gospel recollections which are independent of the Synoptics. Peter, yes, at one level I agree with you. But I am persuaded by Bauckham on John and eyewitnesses, which removes the dependence of John on needed to expand Matthew’s material, rather than drawing on his own. I also find it strange to see the absence of reflection on what ‘realistic’ speech and action might look like in scholarship. By any measure, the Synoptic accounts of Jesus’ ministry and teaching are abbreviated in the extreme, and John’s discourses do come closer to what might have happened. The issue is often labelled ‘John and the Synoptics’. Two solutions are canvassed as though they were the only two (1: he knew ”them”; 2: he didn’t know ”them”). The evidence for each of these is approximately equal, so positions fluctuate to and fro between them, and have done for 100 years. In fact the question has been wrongly conceived. There is not one issue but 3. (a) John visavis Mark; (b) John visavis Matthew; (c) John visavis Luke. The Gospels arose in a community where, I suppose, people went to church each Sunday, gossiped with eye-witnesses and those who claimed first- or second- or third-hand contact with eye-witnesses, and shared a common meal after worship. Early copies of each Gospel became the property of scattered congregations who might have felt free, according to whatever standards each congregation thought right, to make annotations or amendments to their congregation’s copy. My supposition is absent from the thought of commentators on the Greek text who seem to think of Matthew, Mark, Luke, and John as if they were university scholars sitting at a desk with reference material at hand. Robert, that is interesting…but is there any actual evidence for such a process? There is manuscript evidence that the early Christians treated some of Paul’s letters and the gospels that we have as equivalent to scripture…and that would have dissuaded them from editing them freely. Yes, as I have worked my way through Marshall’s NIGTC on Luke, I have tried to imagine Luke worshipping with congregations in Rome and Jerusalem and in between before Mark’s Gospel was published and then when hearers first began to react to it. That leaves me wondering how he might have been affected by those who claimed to be eye-witnesses to this event or that and by those who had heard second-, third-, fourth-hand. I look especially at those places where Luke tells Mark’s story from a different angle. Commentators speculate about what documentary evidence in might have had in front of him. I speculate about what he may have heard over dinner after church. The Lukan version of the “bolt from the blue” came up in this morning’s Eucharist lections, and as my only customer was a fellow priest I floated my thought – that I have for a good while – that this snippet suggests that it is likely that Jesus, in an intimate setting, may well have sounded more like John’s Gospel than people (i.e. scholars) credit. The general direction of your thinking, Ian, is similar. 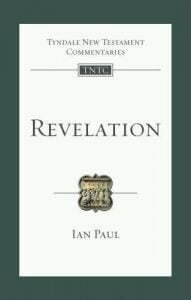 Having given up on Q a long time ago – I still remember the day in 1990 when I realised that I was teaching my students stuff I didn’t believe, on the Synoptic Problem – I have increasingly held it likely that the 4 evangelists drew largely on common oral tradition, rather than written sources. I still find it hard to discard Mark as the basic Synoptic source, but beyond that (and maybe including that) nothing seems certain as far as source hypotheses go. But there is a deeper issue, on which you touch in this article. NT scholars learn to perceive differences, not least because they need to teach their own students to see differences. Seeing similarities doesn’t have a lot of pedagogical mileage, unless to make a point about exactly that. So I agree that it is useful to remind us, especially those working with these different but similar texts all the time, how similar they are. Then, by a converse process, we see the differences again, and we see them differently. That switchback process taught me a great deal about Luke’s consummate artistry, as well as about his careful purpose – which in a nutshell is an agenda to bring not-yet-believing Pharisees (probably ex-Pharisees after the Great Revolt with all its social and political upheavals) to see the way of Jesus as a genuine option for the broken Judaism of that crucial period. Thanks Peter. Is Luke’s supposed appeal to a Pharisaical audience widely accepted? Who particularly proposes this? I don’t think it has been widely canvassed. I proposed it in my PhD thesis, which being incomplete has only been published in bits – and that is not one of the bits. Since writing it 20 years ago I have continued to think about it, and it continues to strengthen in my mind, which is pretty well where it has stayed. My argument was that Luke wrote his two volume work in the aftermath of the Revolt, probably during the 70s, and that the apologetic purpose was to show that Judaism was not finished. The strategy actually taken by Palestinian Judaism was to reconstruct it around Torah, and to work on the Halakhah as if the Temple were still standing or was soon to be rebuilt, as no doubt they fully expected – to be further disappointed three generations later when Jerusalem was razed after the failure of the last Bar Kochba revolt. The centrality of the Temple (among other things I showed how Luke-Acts can be constructed chiastically around the Temple) in Luke-Acts is due to it having been recently destroyed, with all the consequent losses within Judaism. There are Luke-only passages that reinforce this. Getting the message out more widely is one of my retirement projects for next year! – all my retirement projects got deferred when I was unretired, three times now. I think that most people commit the fallacy of seeing ‘the Synoptists’ as one thing rather than 3. When it comes to Aland or Throckmorton, one can see the commonality. But when it comes to comparative dating of the gospels, which is after all what we are talking about here, we are talking about 4 entities which can potentially be ordered in 24 different ways. I can ask all my students to write a synoptic gospel today. Bingo – 30 more synoptic gospels. Clearly then, dating-wise, all 30 must date from the same time-range as Mark AND Matthew AND Luke, and also from a different time from John?? You see the fallacy. Where our topic is comparative dating, ‘the Synoptics’ cease to be a coherent single entity. They are only a coherent single entity where it comes to common language – quite a different consideration. Mark Goodacre is (unusually) wrong here, in fact quite obviously wrong, but has had many a friendly tussle with friends who argue against him on this. Anyway I thought Persse McGarrigle’s thesis was fictional….